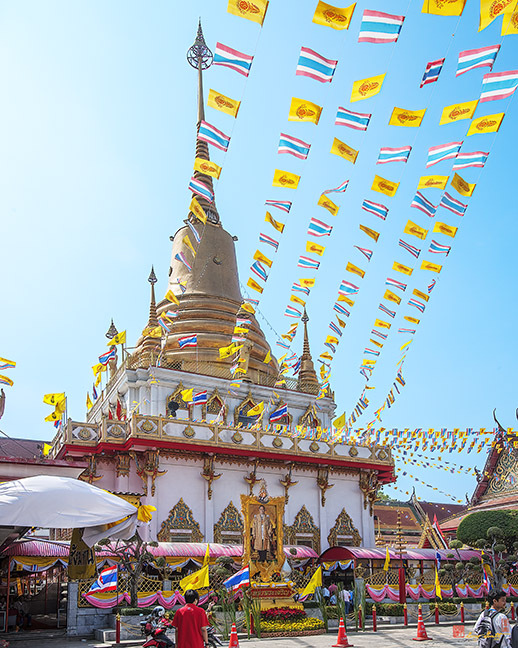 Wat Bang Na Nai, วัดบางนาใน, also spelled Wat Bangna Nai, is located in the Bang Na district on the southern border of Bangkok, Thailand. 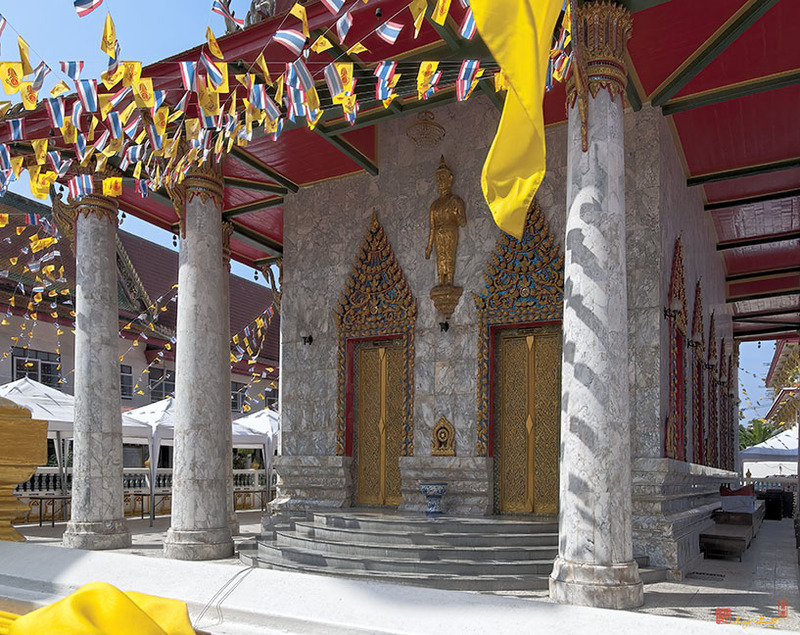 The Ubosot is somewhat unusual, with a portico of columns surrounding it and everything is covered by marble. 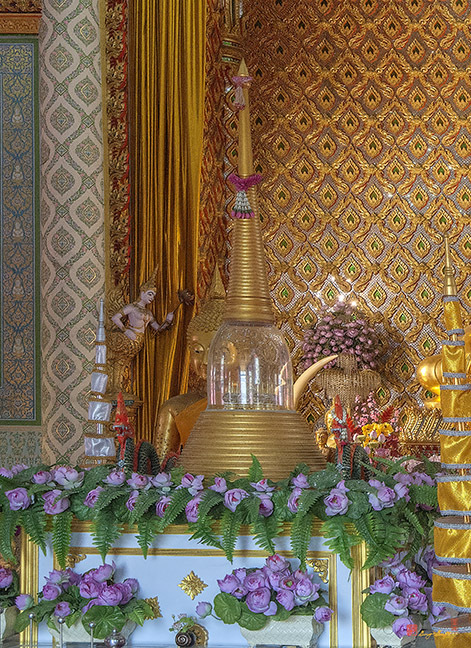 There is also a large Chedi constructed with a base that serves as a meeting hall. 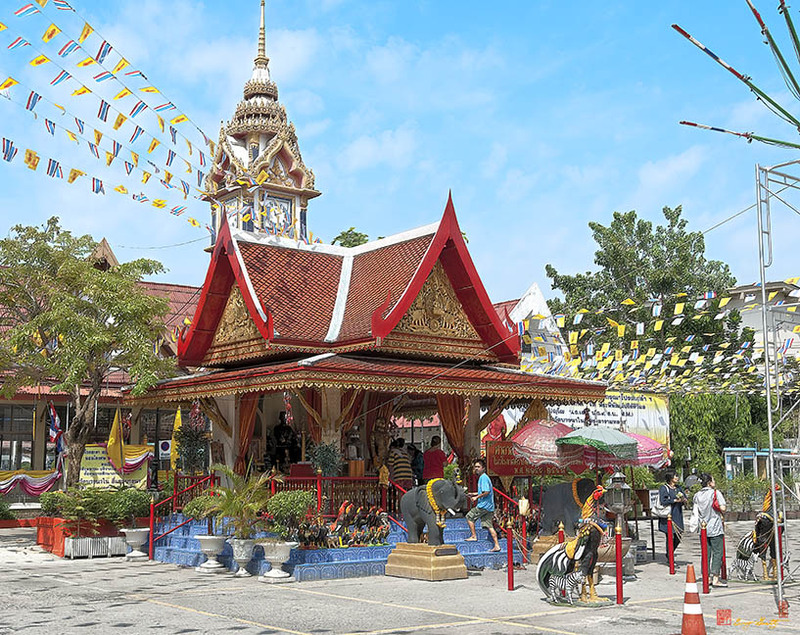 A small merit-making pavilion is surrounded with statues of roosters that indicate it is a memorial to King Naresuan. 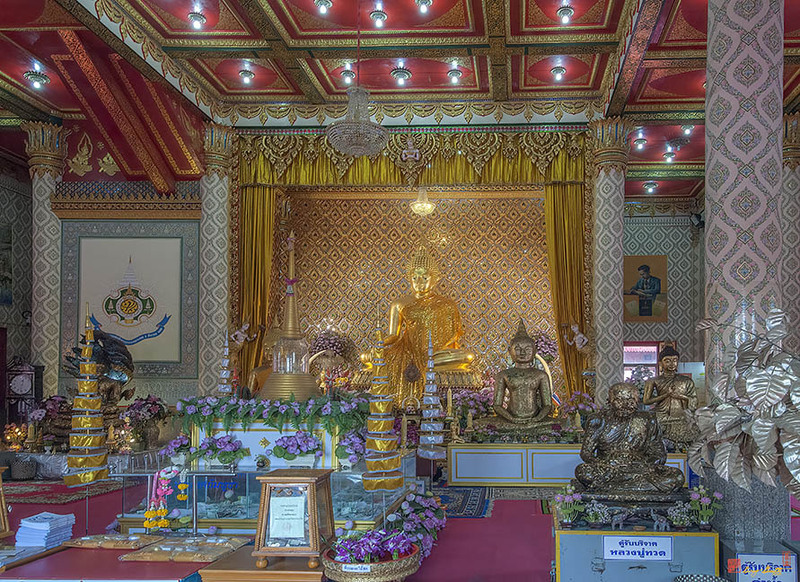 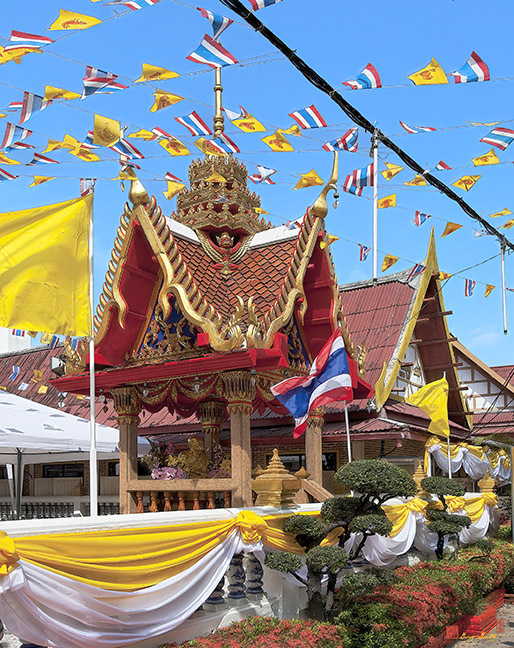 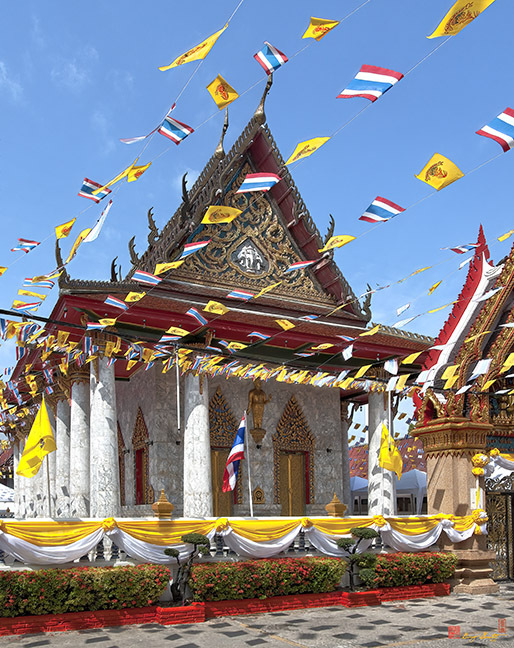 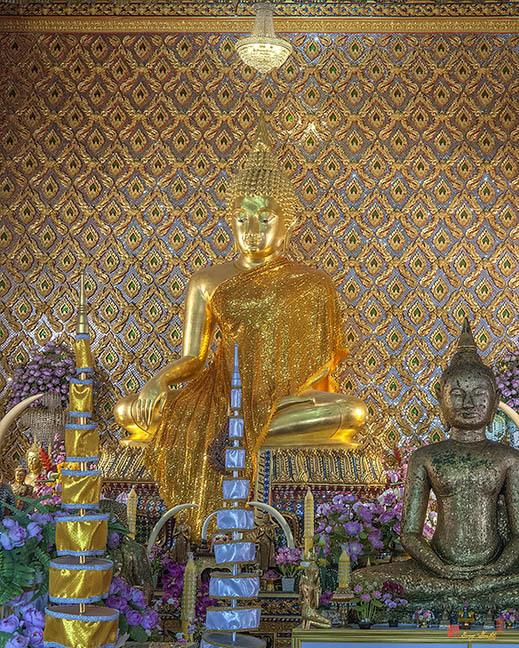 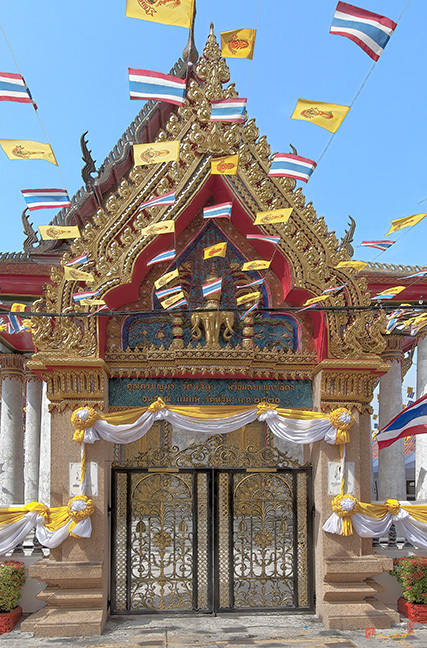 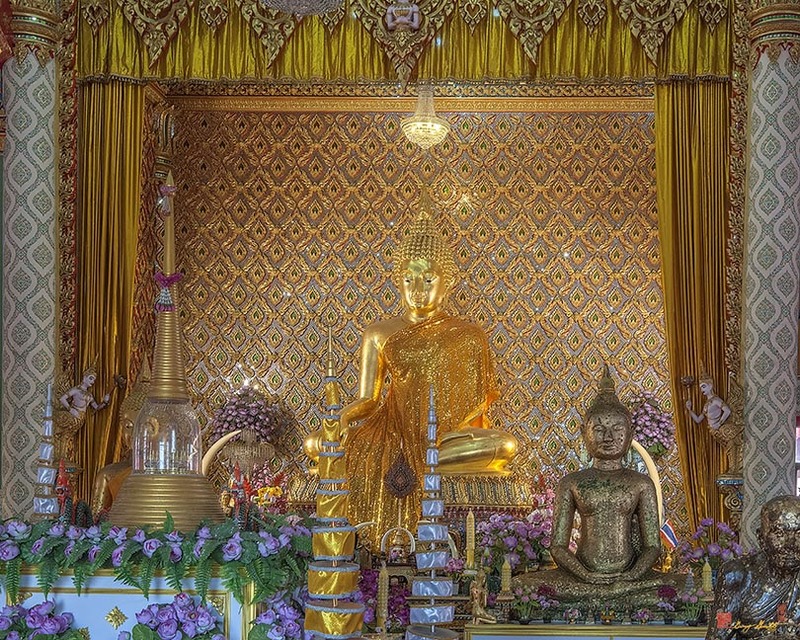 The temple was decorated for a festival honoring the King's birthday when these photos were taken.